​There are good B&Bs and there are B&Bs that go that extra mile to provide a service and not just go through the motions. Whilst they are still in the honeymoon period having only just taken over Linton Laithe, it is clear to see that Sean & Mike are on to a winner here. Breakfast was superb and having paid our bill we set off into the glorious.......... rain! Whilst not exactly hammering it down, the rain was off and on all day and coupled with strong winds and the occasional burst of sunshine made for an interesting and varied days walking over to Cray. 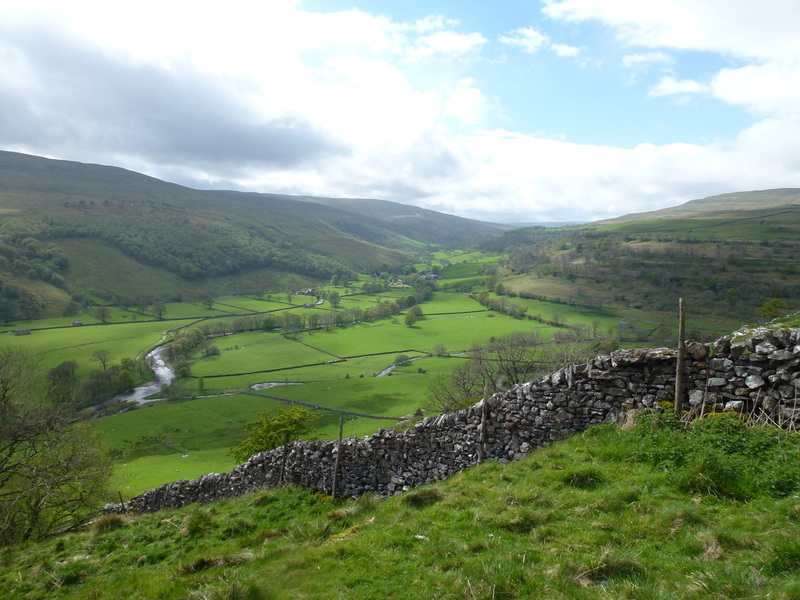 Leaving Linton we headed down to rejoin the Dales Way at Linton Falls and walked up the path known as 'Snakey' which leads to the National Park Centre and then Grassington itself. The village was already buzzing and busy with people therefore we did not hang about and headed out of the village as quickly as we had entered it. 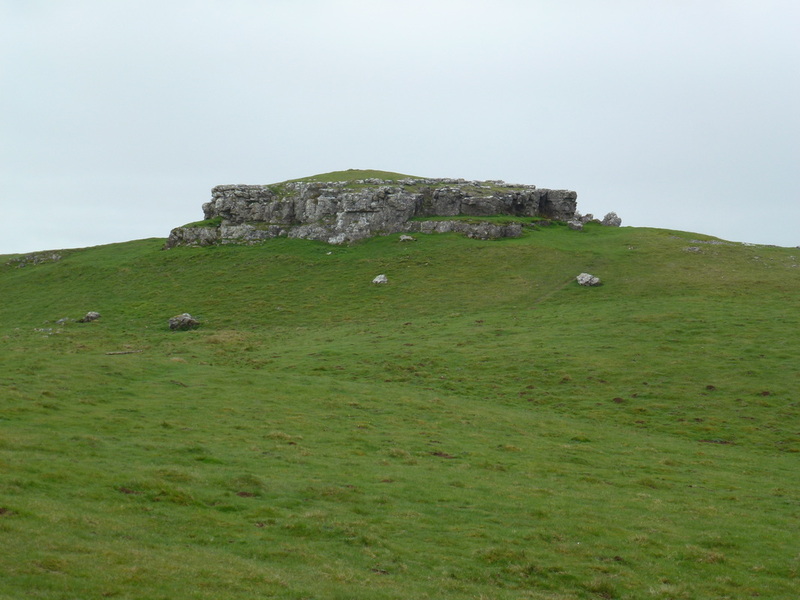 We were soon back out in the countryside and headed through Lea Green which is a lovely grassy path rich in archaeological interest, notably lime kilns, burial cairns and earthworks. 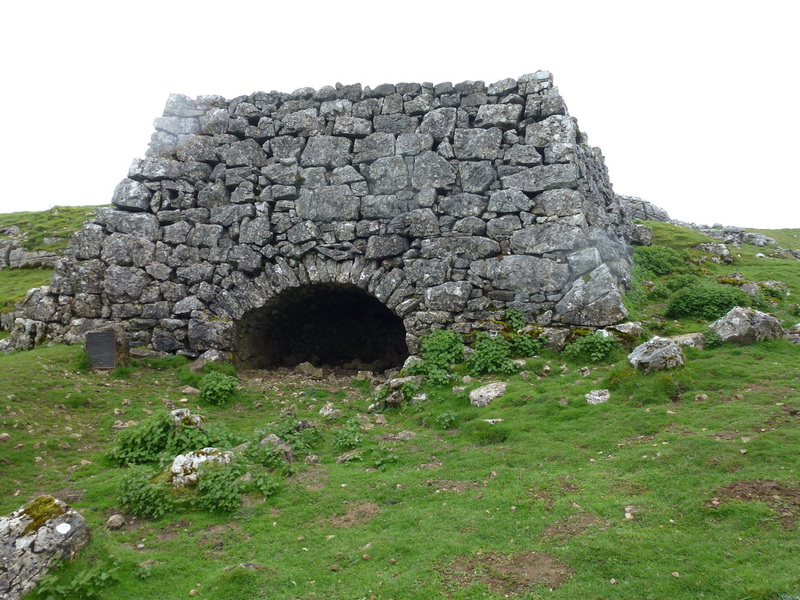 It was here that lime was mass produced in huge quantities and the various lime kilns were used to turn crushed rock into quicklime - below is one such lime kiln found on the path. 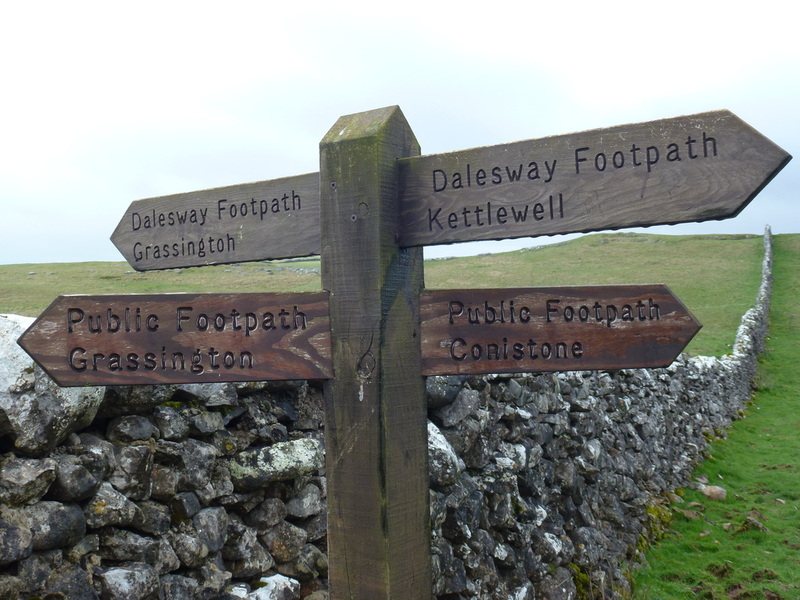 The Dales Way now follows a high level terraced path up to Conistone Pie which, as the name suggests looks exactly like a pie perched up on the top of a mound. It was here that we were battered about a bit by rain and high winds and therefore took the opportunity to rest up behind a wall. 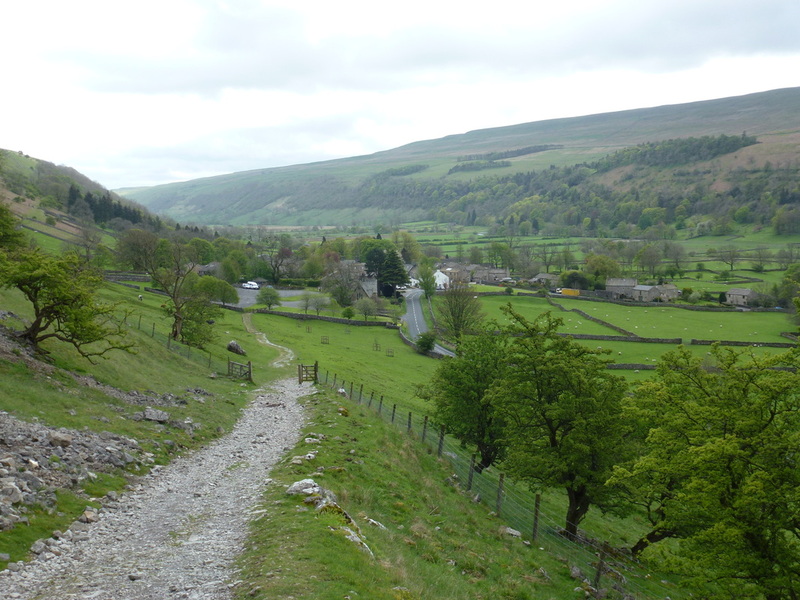 We were passed here - firstly by a young lady who was clearly in a hurry and secondly by a fellow Dales Way walker who was heading for Hubberholme and who we would see on the final day near Bowness. 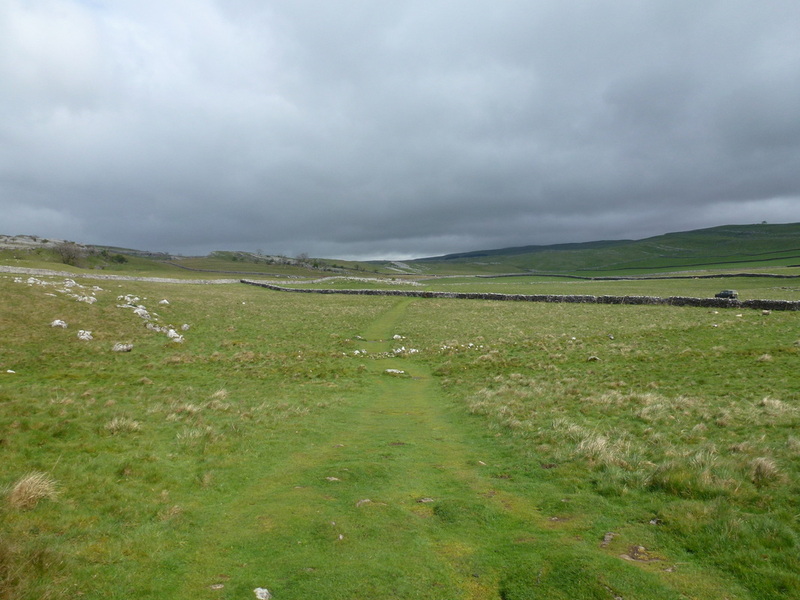 From Conistone Pie we headed along another delightful limestone terrace, Swineber Scar and made the descent into the lovely village of Kettlewell. We headed straight for Zarina's Cafe and found the Gang o' Lads in residence. 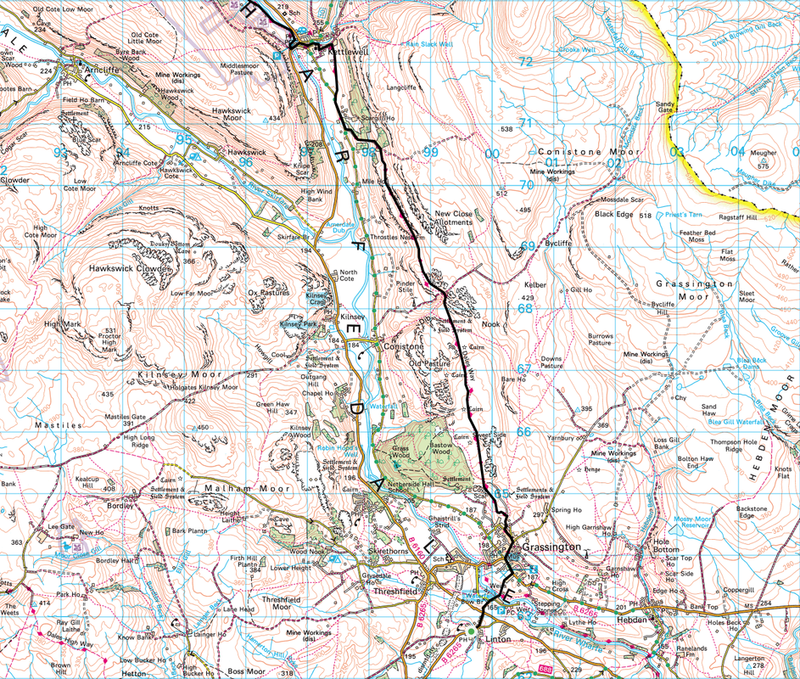 We learnt that they were headed for Hubberholme today and then to Dent tomorrow therefore this would be the last time we saw them. 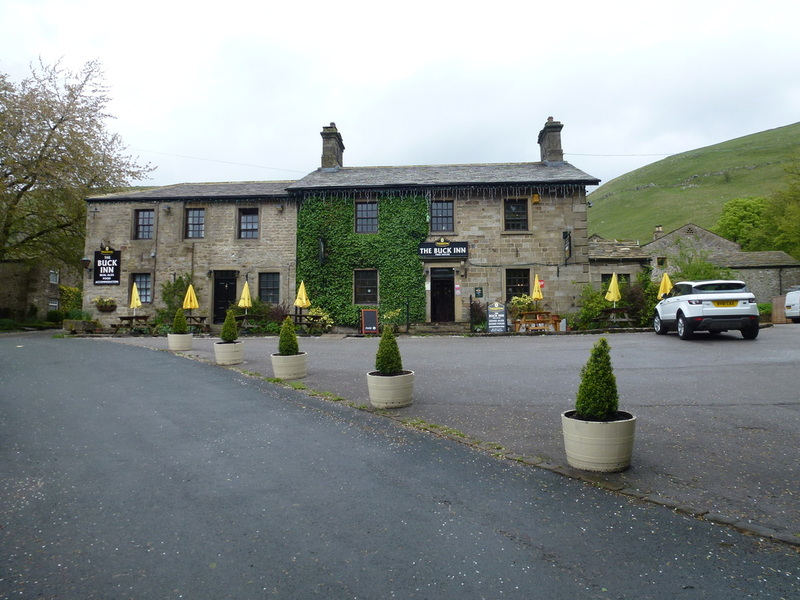 Zarina's was not dog friendly therefore as it had stopped raining we sat outside and had a nice piece of cake and a hot chocolate before heading back out of Kettlewell and back to the River Wharfe. 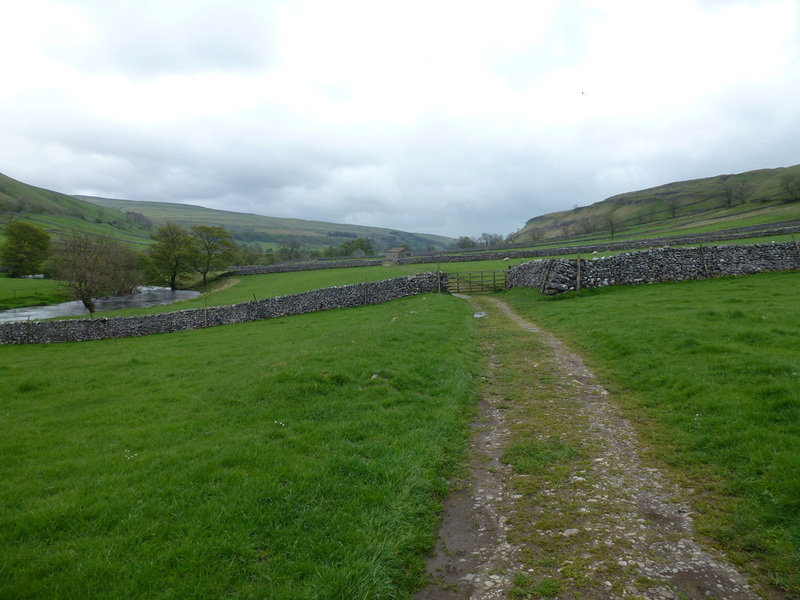 The remainder of the walk to Buckden is alongside the Wharfe and is another lovely amble which we took our time over as the rain was starting to leave us alone. 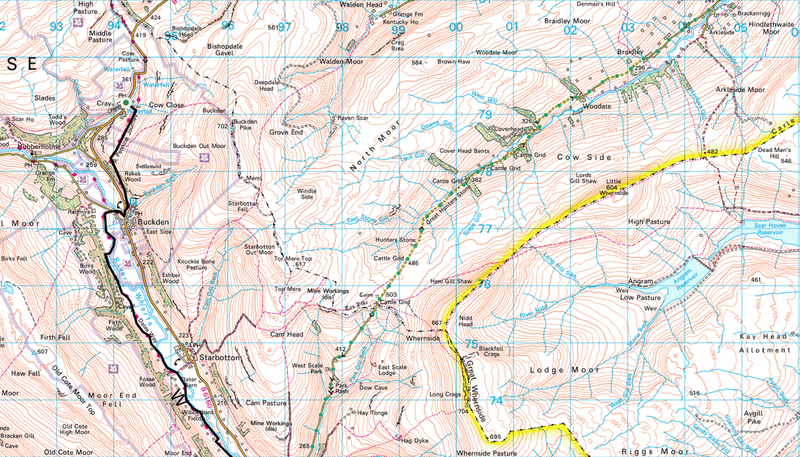 Reaching Buckden, we made our way to The Buck Inn for a well deserved drink prior to making the ascent of Buckden Rake to Cray. We began talking to several people from Durham and unfortunately we were then also joined by the pub's "Drunk in Residence" - pissed out of his head at 3 o'clock in the afternoon!! 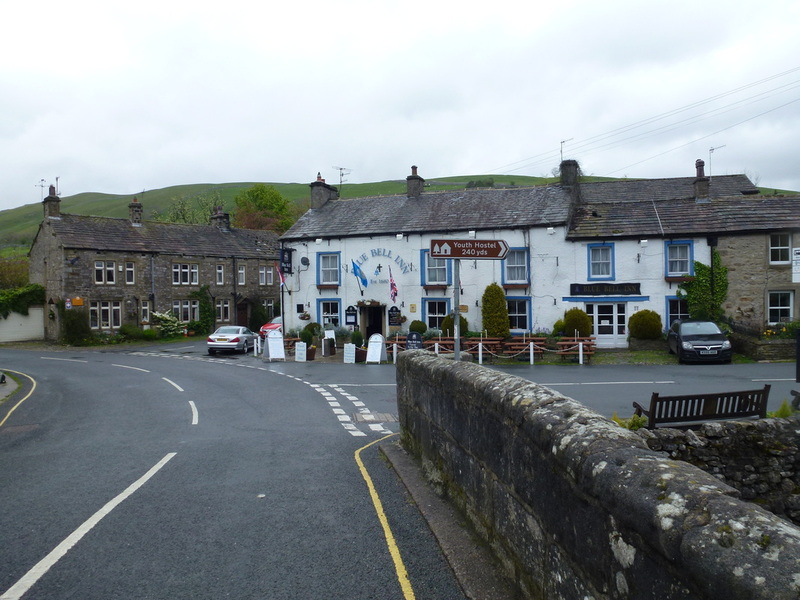 The Buck Inn at Buckden - complete with overbearing idiot and "Drunk in Residence"
Leaving Buckden we left the official Dales Way route and headed up the sharp pull of Buckden Rake and joined a flat path with great views over to Hubberholme and down to Cray, our bed for the night. 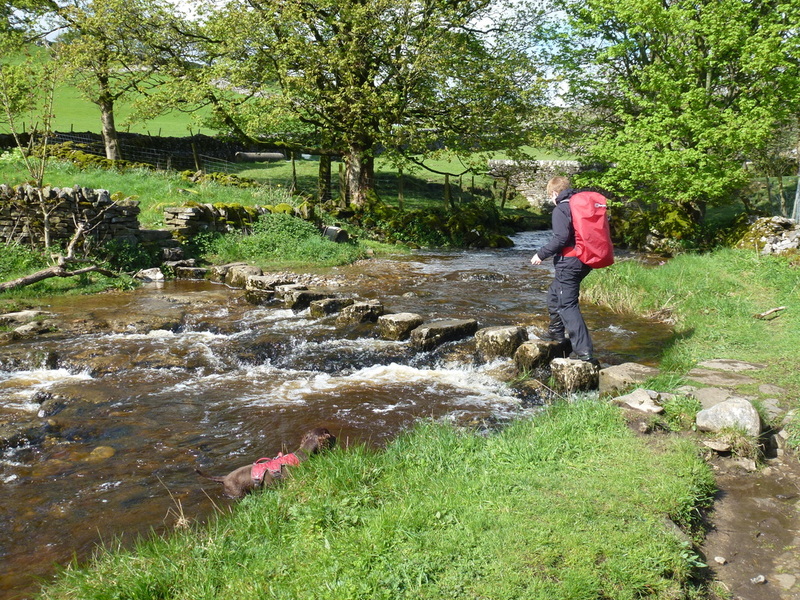 This is another delightful part of the walk and we were soon down at the stepping stones to ford Cray Gill and arrive at The White Lion and a nice pint. Dragging ourselves away from the excellent Copper Dragon we readied ourselves for dinner and had a wholesome meal beautifully cooked by the landlord Tim, a few more beers then bed! 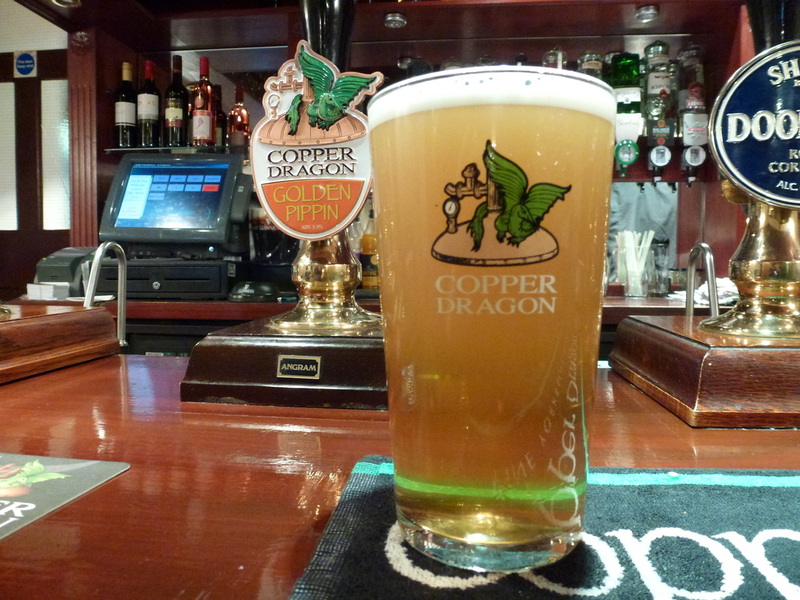 The White Lion, Cray - words cannot express how good this exceptional pint of Copper Dragon Golden Pippin tasted. No frills, great beer, super food and a hearty breakfast plus a sausage for Fudge! 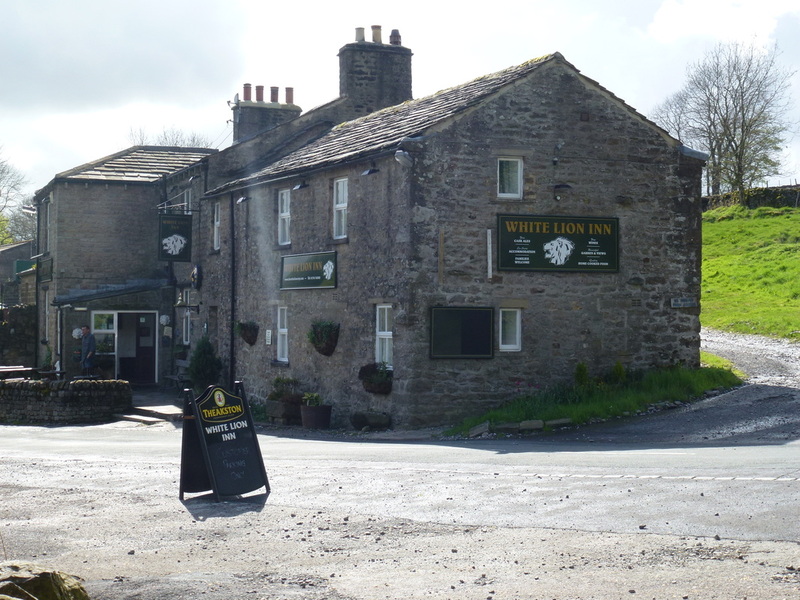 Tina & Tim have not long taken over and have a good pub that we wish them well with.